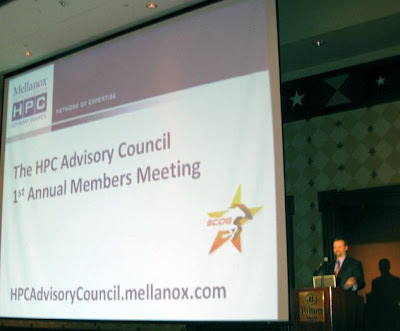 Register now for the upcoming annual HPC Advisory Council Member Meeting during SC10. Cocktails and appetizers will be served during the event. Attendance to the event is open for all council members and those folks interested in joing the Council and participating in the Council’s many areas of HPC outreach and education. This week we announced the formation of the HPC Advisory Council Centers of Excellence. The HPC Advisory Council Centers of Excellence will provide local support for the HPC Advisory Council’s programs, local workshops and conferences, as well as host local computing centers that can be used to extend such activities. We recently performed an interview with Addison Snell, General Manager at Tabor Research, where we highlighted the council’s activities for the past year, and provided some insight into our future direction. It’s amazing to me what the Council has been able to accomplish in under a year. Sometimes it all flies by so fast that you don’t have time to sit back and try to take it all in. Am I being a little grandiose here? Ya, sure, but a lot of folks from various companies have put in a huge amount of work…and it’s nice to see it all come into fruition where it benefits all members. Thank you everyone for helping the Council become what it is today. You can find the whole interview here. I look forward to seeing you all there and at the many events I end up attending.